TRADE UP & SCORE 100 FOR YOUR HEALTH! As you may already know, the NuVal® Nutritional Scoring System makes it easy for you to quickly see the nutritional value of items in our stores with a single, simple score from 1 to 100. The higher the NuVal® score, the better the nutrition. How Does Your Nutrition Know-How Stack Up? See how comparing similar foods using NuVal® scores works with the new Nutrition by Numbers online game! Test your knowledge and score points for correct answers. As your game score gets higher, you’ll expand your knowledge of nutrition as it relates to NuVal® scores. Each question will display three similar items found in TOPS stores. Your objective is to rank the items from most nutritious (top) to least nutritious (bottom). To move items in the ranking, simply click the item’s icon and drag it into a new ranking. When you are satisfied with your ranking, click submit. The NuVal® scores of each item will then be displayed so you can know how accurate your ranking was, and then you will be rewarded points based on your ranking accuracy. At Brink’s, we believe that making healthy food choices for you and your family shouldn’t be a hassle. You deserve to know the nutritional value of what you’re buying, when you’re buying it (without having to read fact panels and package labels). Introducing the NuVal™ Nutritional Scoring System. The NuVal System is a widely recognized food scoring system that makes it easy for you to quickly see the nutritional value of items with a single, simple score from 1 to 100 so you can make well-informed choices. The higher the NuVal Score, the better the nutrition. Click here to download a NuVal™ brochure. NuVal Scores summarize comprehensive nutritional information in one simple number between 1 and 100. Each NuVal Score takes into account more than just the nutritional fact panel. It considers 30-plus nutrients and nutrition factors – the good (protein, calcium, vitamins) and the not-so-good (sugar, sodium, cholesterol). Then it boils it down to a simple, easy-to-use number; a number you can trust to make better decisions about nutrition in just a few seconds. 1. LOOK for the NuVal System’s double-hexagon emblem and 1-100 food score on the shelf tags next to the price. 2. COMPARE overall nutrition the same way you compare price. No more scouring nutrition labels; with NuVal Scores, you can see and compare foods’ nutritional value in a single number at a single glance. 3. DECIDE quickly and easily between different food items. When you want to buy more nutritious foods, simply look for those with higher NuVal Scores. A: The NuVal Nutritional Scoring System is a food scoring system that allows you to see – at a glance – the nutritional value of the food you buy. NuVal ranks all foods on a scale of 1 to 100; the higher the score, the better the nutrition. NuVal is a tool you can easily use while shopping at Brink’s Market to make more nutritious food choices. Q: Why is Brink’s Market posting NuVal scores for foods? A: NuVal provides nutritional guidance that you, our customers, have asked for. While customers appreciate the variety and selection Brink’s Market provides, our research has shown there’s a growing demand for a simple, easy way to find the most nutritious foods on our shelves. NuVal offers nutritional transparency, is backed by solid science, and was created independent of food manufacturers, meaning it’s a system you can trust. Recently, NuVal won the endorsement of the American College of Preventive Medicine (ACPM), whose mission is to promote health and curb disease. We see the NuVal system as an opportunity to do something good for public health in light of the growing rates of lifestyle-related diseases such as diabetes, obesity and heart disease. While these trends are disturbing, the good news is that they are reversible, and NuVal can help. Q: Who developed the NuVal system? A: NuVal is a science-based food nutrition system that was created independent of Brink’s Market or any food manufacturer. A team of recognized nutrition and medical experts from leading universities and health organizations drove the development of the Overall Nutritional Quality Index (ONQI®) algorithm, which generates NuVal scores. 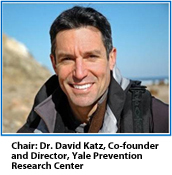 Funded by Griffin Hospital, a non-profit community hospital and teaching affiliate of the Yale University School of Medicine, located in Derby, CT, and home to the Yale -Griffin Prevention Research Center, this team— led by Dr. David Katz— worked for two years to develop the ONQI® algorithm. Q: What specific nutrients and factors go into a NuVal Score? A: The following nutrients and nutrition factors are used in determining a food’s NuVal Score. Q: Can NuVal be used for special diets (such as low sodium, low fat, etc.)? A: NuVal does not reflect special diets, such as low fat or low sodium, and customers looking for specific nutrient levels will still need to review the Nutrition Facts Panel (NFP). However, a higher NuVal score generally reflects a lower quantity of negative nutrients such as sodium and fat. Q: Are NuVal scores adjusted for “positive” additives such as probiotics? A: NuVal does not give consideration to non-nutrient food additives at this time, such as probiotics or plant sterols because these items do not add or detract from the nutritional value. Of course, consumers may still benefit from these additives. Q: Do NuVal Scores consider portion size? A: No. Since the nutritional quality of a food does not vary with serving size, the NuVal System does not offer guidance for portion size. You still need to choose portion sizes of foods appropriate for your daily needs. However, because it factors in properties that influence satiety, foods that score well on the NuVal System can fill you up on fewer calories, and therefore may be a tool to help consumers consciously manage their own portions. Q: How many products in a grocery store will have a NuVal Score? A: It is our goal at Brink’s Market to have NuVal scores on as many items as possible. Most departments use NuVal scores, such as produce, cookies, crackers, dairy, meats, seafood, cereal, soft drinks, and frozen foods, and we are adding new scores all the time for new items as they become available. If you have additional questions on NuVal, please visit nuval.com. The Scientific Advisory Board (SAB) provides ongoing oversight of the NuVal® System’s scoring engine, the ONQITM algorithm (which is owned and managed by Griffin Hospital), and its applications. Comprised of recognized nutrition and medical experts, many of whom played a key role in the initial development of the ONQITMalgorithm, the SAB is responsible for the making timely adjustments to the algorithm as scientific advancements and changes in food supply conditions make appropriate. The SAB also helps coordinate and oversee ongoing scientific testing of the ONQITM algorithm and its influence on health outcomes. Answer: NuVal® is not a weight management program or diet; it’s a measure of a food’s overall nutrition quality, helping consumers choose more nutritious foods and “trade up for health.” When creating a nutritious eating pattern, it’s important to take into account balance, variety, and portion sizes in addition to nutrition quality. Question: Is there a certain score or score average I should aim for? Answer: There is no specific number to aim for when buying foods. Not all categories of food reach to 100 or go down to 1, so eating all 100s or even all above 80 would not be possible. The best way to use NuVal® Scores is to “trade up” from what you’re currently eating to a higher scoring product. Even the smallest jump in scores can have an impact on your health. Making small incremental changes can be an effective way to affect long term changes in eating habits and in your health. Question: Can a consumer or a food manufacturer figure out the NuVal® Score for a food? Answer: The science behind the NuVal® Nutritional Scoring System is called the Overall Nutrition Quality Index (ONQI)™. Thirty nutrients are weighted in the algorithm, as are the quality of the macronutrients and the relationship between the nutrient and health outcomes. The sophistication of the scoring software and methodology does not lend itself to a consumer application. Question: Is the organic status of a food factored into its NuVal® Score? Answer: Because evidence-based science does not indicate that the organic status of a food impacts the overall nutrition quality of the food, it is not taken into account in the scoring process. For example, an organic apple and conventional apple both have the same amount of fiber. The NuVal® Nutritional Scoring System can be a great tool for shoppers interested in organic to also get the best overall nutrition quality in these products by choosing organic products with the highest NuVal® Score. Question: Are MSG, food dyes, and other chemical ingredients included in the NuVal® Score? Answer: The NuVal® Score is a measure of overall nutrition quality, and unless these ingredients specifically impact the nutrition of the product, they are not factored into the score. Question: Is high fructose corn syrup included in the NuVal® Score? Answer: All added sugars (sugar, agave nectar, HFCS, syrup, etc) are treated equally in the algorithm as evidence-based science does not support varying impacts on health outcomes between sugars. Sugars are treated as a “negative” nutrient in the scoring algorithm, lowering scores, with added sugar having a greater impact than naturally occurring sugars. Question: How are foods with artificial sweeteners treated in the scoring process? Answer: High-intensity sweeteners, which include artificial sweeteners, are used in place of sugar in foods. Because they offer minimal or no calories, they reduce the energy density (calories per gram) of a food and the glycemic load (a measure of carbohydrate quality) of the food. In general, foods with lower energy density (fewer calories per gram) and lower glycemic loads score higher on the NuVal® scale. For this reason, foods containing high-intensity sweeteners may score higher than their sugar-sweetened counterparts since they do not have the calories from sugar that their sugar-sweetened counterparts do. Question: It seems like certain categories of foods do not have NuVal® Scores. Can you explain? Variety packs, which contain multiple components with different Nutrition Facts Panels and ingredient declarations are also not scored. Question: Are there NuVal® Scores on baby food? Answer: The NuVal® Nutritional Scoring System is based on the Dietary Guidelines for Americans, which provides authoritative advice for people two years and older about how good dietary habits can promote health and reduce risk for major chronic diseases. Since the Dietary Guidelines for Americans exclude infants and toddlers under the age of two, so does the NuVal® System. Question: Are the nutrition values used to score fresh produce based on raw or cooked? Answer: All vegetables and fruit are scored based on raw data except for potatoes, sweet potatoes, and corn, which are scored as cooked for two reasons: 1. The database we use in the scoring process only provides cooked data. 2. These foods are rarely eaten in the raw form. Question: Why do some low-fat and light products not score higher than their full fat counterparts? Answer: Because the NuVal® scoring process factors in more than 30 nutrients and nutrition factors, one nutrient – such as the presence or absence of fat – does not necessarily drive the score. For example, some products have more sodium or sugar added when fat is taken away, which may affect the score negatively. Question: Is there a website or a phone app where I can find all the NuVal Scores? Answer: Currently, NuVal® Scores are available at more than 1,500 supermarkets across the country. While there is always the possibility of making NuVal® Scores available through either a website or a mobile app, today they can only be found on the shelves of participating retailers. Question: Why do scores sometimes change? Answer: The most common reason NuVal® Scores change is food manufacturers have changed the formula or recipe for the product or made updates to the Nutrition Facts Panel. Our hope is that food manufacturers are reformulating to get higher NuVal® Scores and offer you, their customer, foods with better overall nutrition quality. Question: Why do some ice creams score in the 90’s? Answer: Non-fat or low-fat Ice creams that score high tend to be made with skim milk, without added sugar, and have added fiber (up to 6 grams per ½ cup serving of ice cream). The fiber is added to replace texture that is lost when fat is removed. It’s important to remember that since ice cream is made from milk, it has nutrients you get from milk, which boosts its nutrition. Question: Why do some plain oatmeals score in the 50s while some score in the 90s? Answer: Most plain oatmeals have one ingredient – oatmeal. But the Nutrition Facts Panels can be different. Specifically, saturated fat tends to vary on these products. In light of the negative impact saturated fat has on health, specifically related to heart disease, this nutrient can significantly impact scores. Question: Why is olive oil not the highest scoring oil? Answer: Scores for oils are primarily driven by the fat profile of the product. Canola oil has the highest amount of omega-3 fatty acids and the lowest level of saturated fat of all the oils, which drives the score up. Olive oil has lower levels of omega-3 and higher levels of saturated fat, which contribute to its score.